With 55,000 p.s.i. and the capacity to hold a 5′ x 10′ sheet with a cutting size of 55″ x 100″, we have expanded the ability to handle larger jobs with equal or greater quality. Why Is The Waterjet Better? 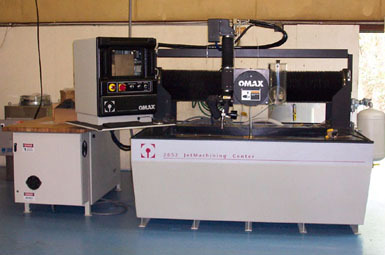 The abrasive waterjet machining center uses your existing DXF files (or other CAD drawings). 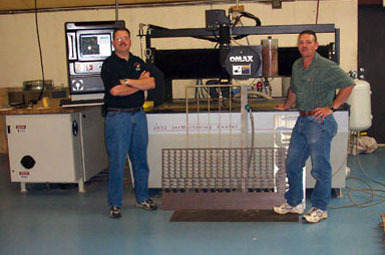 No costly dies, fixtures, or elaborate CNC programming required. Low startup costs allow for inexpensive, highly accurate production for quantities as small as one item. Working from your drawings eliminates the need to wait for dies or fixtures. Cuts are accurate within ±0.005. Waterjet cuts are very smooth, similar to a fine sandblasted finish. Flexible materials cut with less taper than cuts made through die cutting. Because there is no heat build up aterials like glass, rubber, and plastic will not melt during the cutting process. This relieves structure changes. Jet machining is capable of cutting just about anything. Reduction of scraps because of the Part Nesting feature. 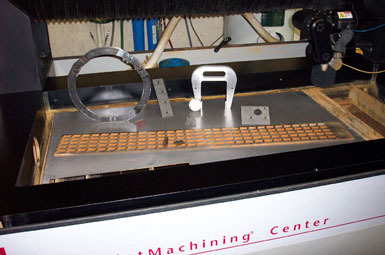 Water is used instead of other gases, liquids and oils in the process of machining products. 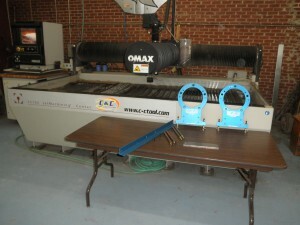 What Exactly Will The Waterjet Cut? 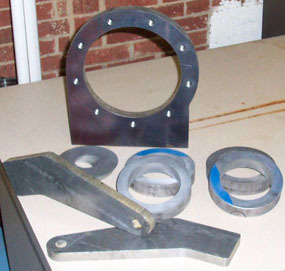 Jet machining includes waterjet cutting and abrasivejet cutting. Both waterjet and abrasivejet cutting use water pressurized up to 60,000 PSI. The water is forced through a small ruby orifice at more than two times the speed of sound and is directed at the work piece. Abrasivejet cutting adds an abrasive to the water for cutting hard or thick materials, while waterjet cutting handles soft or thin materials without an abrasive. For more information please do not hesitate to Contact Us here at C & C Tool.